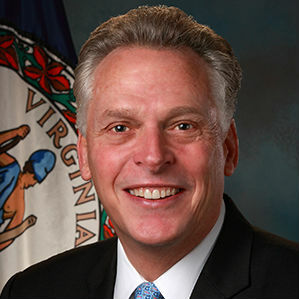 Governor McAuliffe announced the 2016-2017 Governor’s Challenge in High School Voter Registration. High schools across the Commonwealth will have the opportunity to compete to register the highest percentage of their voting-age population. Schools that reach or exceed 65 percent will receive a congratulatory certificate from the Governor. Earlier this year Governor McAuliffe issued a proclamation to recognize April 24-30, 2016, as Virginia’s first High School Student Registration Week, with the goal of encouraging high school students and teachers across the Commonwealth to conduct voter registration drives at their schools. Over the course of the week, nearly 2,500 qualified 17-year-olds registered to vote, and as of August 26, 2016, 48,832, 17- and 18-year-olds were registered to vote in the Commonwealth. The Governor’s Challenge will officially kick-off on National Voter Registration Day, September 27, 2016, and will conclude the last week of April 2017, Virginia’s second annual High School Student Registration Week. High schools that wish to participate in the challenge will receive instructions from the Department of Education on how to formally sign up. Resources to help schools conduct voter registration drives will be made available by the Department of Elections and our nonpartisan partner organizations. Virginians can apply to register online at the Department of Elections’ Citizen Portal, located here. Registration is also available at the Department of Motor Vehicles, local voter registration offices and voter registration drives. The deadline to register to vote, or update an existing registration, for the November 8 Presidential Election is Monday, October 17, 2016.